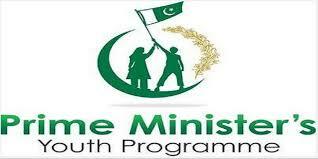 After the completion of the Prime Minister Youth Skills Development program successfully, PMYSDP Phase I and II are going to be launched to increase the employment opportunities. There are 50,000 unemployed youth including from lower and middle class families will get the skills development training in the demand driven trades under this program. The duration of this program is ranged from 3 to 6 months and the selected trainees will give the monthly stipend of Rs.3000/- (Rs.4000 for FATA trainees). The free toll kits will also be provided in the few trades. The training will be offered in 340 public and private sector technical and vocational training institutes all over the country. National Vocational & Technical Training Commission (NAVTTC), Government of Pakistan is executing this program. Applicants are invited from all over Pakistan including Punjab, Sindh, Khyber Pakhtunkhwa, Balochistan, FATA, Gilgit-Baltistan and Azad Jammu & Kashmir). Candidates belonging to all parts of Pakistan are invited to apply to this training program. The male and female candidates can apply. The federal government and prime minister has taken the step to initiate this paid training program for new generation of Pakistan in order to provide basic and professional technical training in different long courses in different fields and trades under NAVTTC. Male & Female aged up to 35 years with middle-level education shall be eligible. Madaras students and students with the disability are also encouraged to apply. On average fee, support would be Rs.5,000 per month for six months. For registration, you can download our application form from above link or visit our designated Institutes or our Regional Offices. The online application form link is given under a Blue Button.